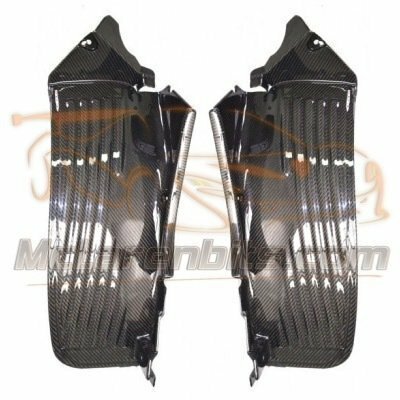 Mclaren MP4-12C and 650S front wheel arch or door splash shield is produced in 100% carbon fibre structure that gives to the part a superior stiffness, aerospace strength & durability. -Our front wheel arch or fender shield are replacement components, fitted in the same manner as the OEM parts without modification. -We produce our part in the matching factory pattern.